Each parking lot is waterproof, oil resistant, and made with a durable PVC material that is flexible which allows for easy storage. Style-2 features classic white & yellow straight parking spaces with that authentically real asphalt look. 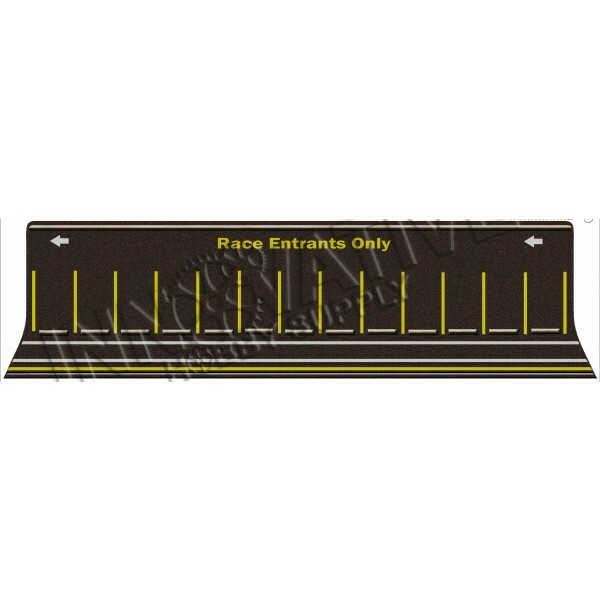 Base Foot Print 23" x 1.5"
Our "Track Side Straight Line Parking Lot and Staging Area" is made with High Def "Photo Real" graphics on a smooth soft touch PVC Plastic PROFLEX. Each parking lot is waterproof, oil resistant, and made with a durable PVC material that is flexible which allows for easy storage. 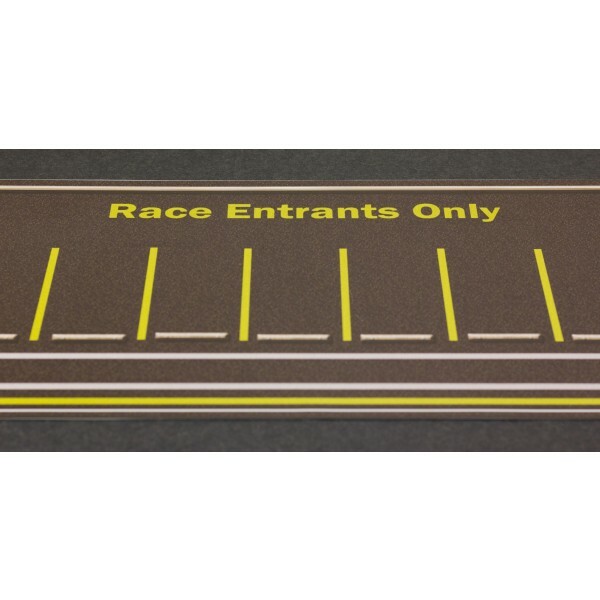 They will work great alongside your AFX tracks by matching the color and texture appearance of the AFX track look. Suitable For: HO 1/64 Slot Cars, Match Box, and Hot Wheels Cars. And many other small 1/64 cars. Waterproof - Can be easily cleaned and washed. Oil Resistant - Can handle oil and grime from slot cars without getting damaged. Strong PVC Plastic - Durable and built to last. Flexible PROFLEX - For easy storage. High Def Graphics - High Def "Photo Real" Graphics that look like authentic Asphalt. 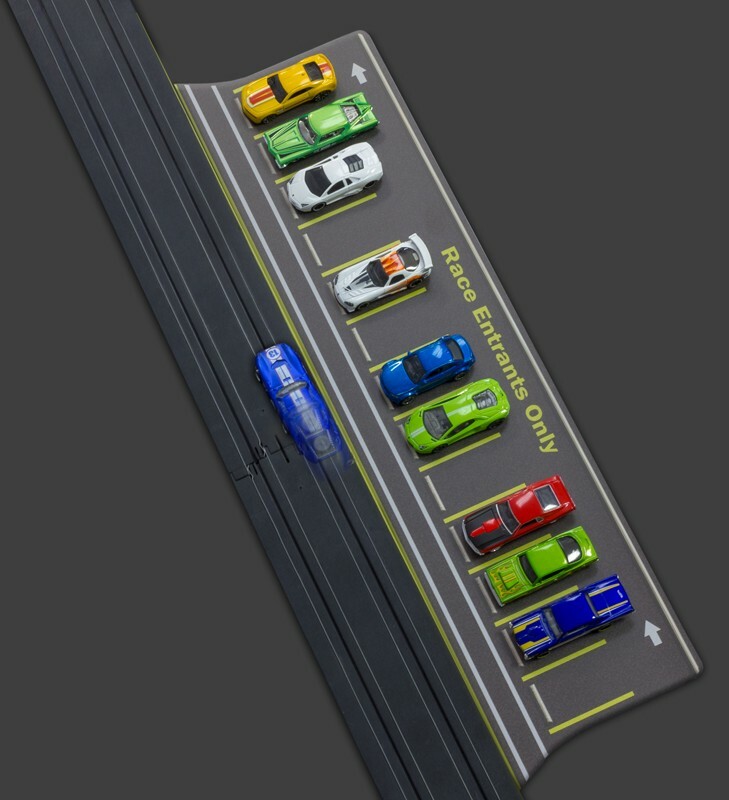 Matches - Blends in and looks great alongside AFX and other Slot Car tracks. Only requires a scissors to handcut out and you're ready to use in seconds. Please Note: We’re sorry our parking lots do not include scale cars, or vehicles. They are shown only for display purposes. 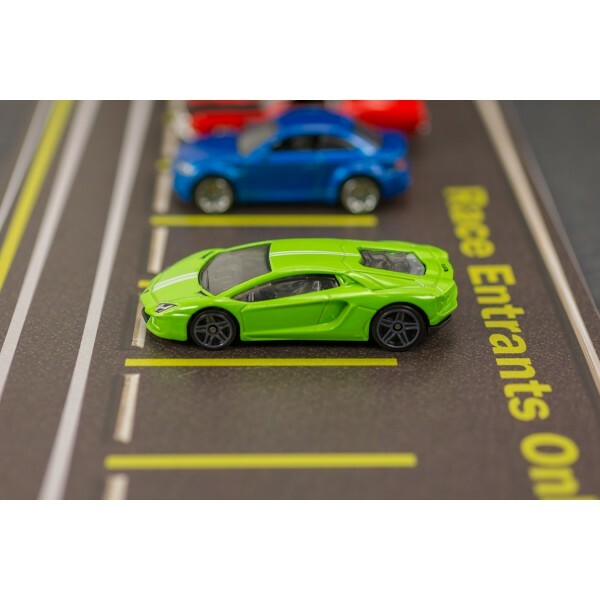 Check Out Our 1/64 Photo Real Build Kits which are designed to work great with this parking lot. Our Scale Buildings go perfect with Lionel trains, Lifelike trains, Walthers train sets, Scalextric slot car sets, Carrera slot car sets, Monogram Model diorama, Revell model displays. Detail them out and combine them with accessories, trains and buildings from Bachmann, Woodland Scenics and Atlas, Faller just to name a few. This scale building will look great on any Atlas, Lionel, Aurora, AFX, Tyco, or other type of HO slot car or train set. Slot cars and track not included.